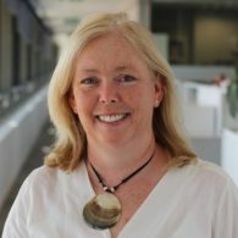 Catriona Macleod is Deputy Head of the Fisheries and Aquaculture Centre within IMAS, and a senior research fellow with specific expertise in environmental impact assessment. A key research focus has been improving understanding of the environmental impacts and interactions of finfish aquaculture, and in providing the system understanding and recommendations to support sustainable development and management of aquaculture operations. She also has an interest in heavy metal contamination and how management actions in coastal/ estuarine systems can influence the impacts of metals, both in terms of bioavailability and ecotoxicity.